New this year: Laser Light Show after dark! Have some fun and you might win a prize! (if you want to participate in the bicycle parade, please email by clicking below, with the parent’s name, child’s name, address, cell phone number so we can text the winners, & age (so we know what group). Preregistration is not required, but highly recommended – deadline for preregistration is June 30th. 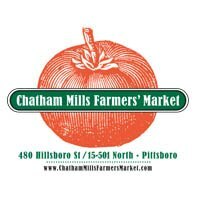 You must be ready to line up at the OLD Piggly Wiggly, located at 50 West Salisbury Street, Pittsboro, at 4:00-4:45 pm. STAY TUNED AS WE ADD MORE DETAILS!!!! Follow Summer Fest 2018 on Facebook! Look for additional events happening at Member locations during Summer Fest. Sponsorship opportunities are still available: Please see information on the attached letter. We also need volunteers to help out with the event. Please sign up at VOLUNTEER Thank you!!! !